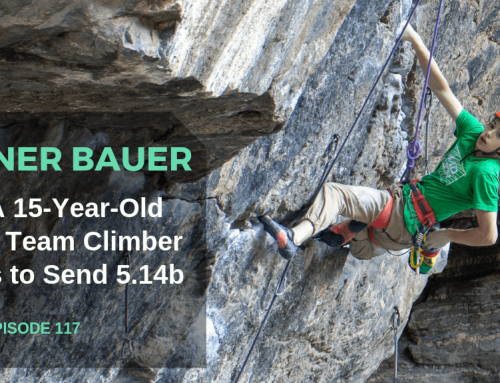 Dalton Bunker is a 21-year-old climber from Salt Lake City who’s made a name for himself as a strong competition climber and an up-and-comer in outdoor climbing, as well. He got 7th place in Sport Nationals this year (2018) and in the same year, he had his best week of outdoor sport climbing ever, sending 3 5.14c’s in 1 week. 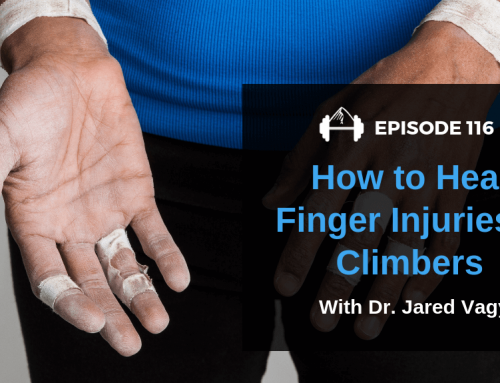 He’s climbed up to 5.14d and V13, and he’s a sponsored climber as well as a climbing coach. I wanted to ask Dalton about how he trains to be so strong, and how he keeps his head together in comps and outdoor climbing. 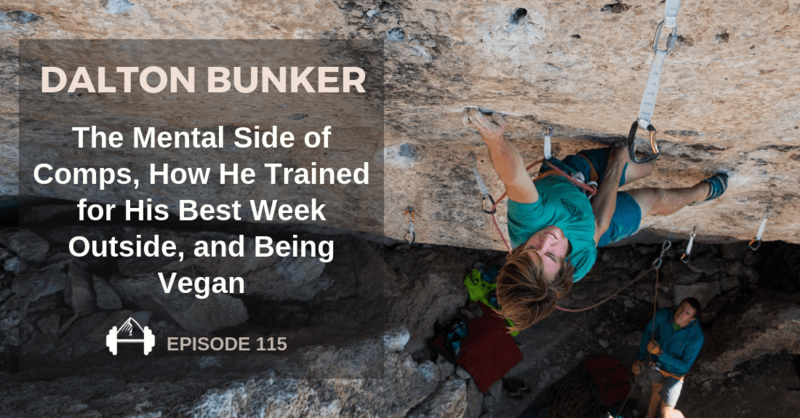 We also talked in depth about his fairly recent change to veganism, which he says has helped his health and his climbing performance. I haven’t been able to climb or train at all really in the past couple months so I’m a little disappointed about that, but we had this trip planned a long time ago and I am excited to go outside and climb in one of my favorite areas in the world so it should be exciting. Before I tell you about this podcast episode I just wanted to do a couple housekeeping things. One is that I am very sorry. 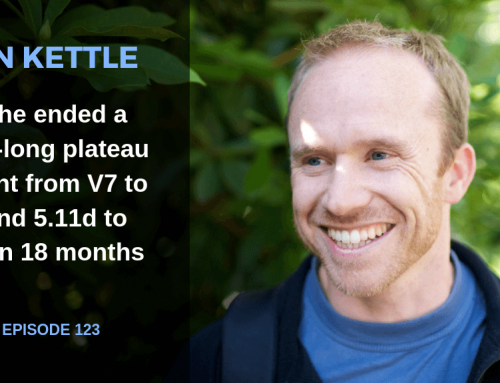 Last week I published the episode with Tom and Ollie from Lattice Climbing and Training and I only published the first 32 minutes of it for the first 24 hours that it was up. I am really sorry about that. I was having computer issues and my computer was being super finicky with that file and I put it out and you guys, thankfully, let me know about my mistake. That’s why I love you guys. You’re really kind when you tell me about my mistakes. I fixed it and the whole episode should be up now, you just might have to refresh the download on whatever app you’re using to listen to it. I apologize for that. I have another apology to make in advance of this episode because I did this interview with Dalton Bunker maybe a couple of months ago, actually, and in the beginning of the interview, for the first 22 minutes, his headphones weren’t properly plugged in so his sound for the first 22 minutes is not the same as it is in the rest of the interview. It gets much better in the rest of the interview. I apologize for that. I couldn’t figure out what was wrong so I just went on with the interview. I hope that it doesn’t take away from this interview. Having said all of that, I will now introduce my guest for the day which is Dalton Bunker. He’s a 21-year old out of Salt Lake City. He’s a very talented comp climber. He’s also really good at bouldering and routes outside. He’s climbed up to V13, 5.14d, and his life basically revolves around climbing. He’ll tell you all about it. 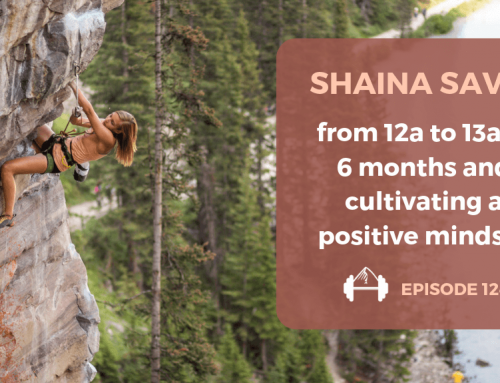 What we talk about a lot in this interview is how he trains for comps, how that differs from how he trains for outdoor climbing, what his goals are, he lays out his six week route training program that he uses for himself, and he tells you about a typical training week for him before Sport Nationals. 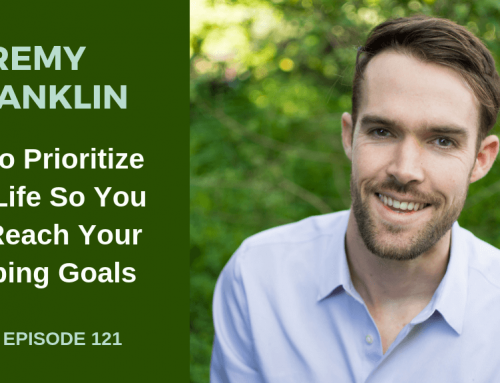 He’s got a lot of different things going on, a lot of different goals that he has to prepare for, so we talk about that. Also, we talk about his diet because he’s vegan and he has been for awhile. He takes it very seriously and he gives it a lot of thought so we talk about that. It’s interesting for me to talk to a vegan who’s as strong as Dalton is because it can be difficult to get enough protein to support the kind of work that we’re doing as climbers when you’re a vegan. This was super interesting and I hope that it’s enlightening for people who are vegan or vegetarian or trying to be one of those things. That comes at the end of the interview. I’ll let Dalton take it from here. Here’s Dalton Bunker and I’ll talk to you on the other side. Neely Quinn: Welcome to the show, Dalton. Thank you very much for talking with me today. Dalton Bunker: Yeah, happy to. Neely Quinn: So for anybody who doesn’t know who you are can you tell us a little bit about yourself? Dalton Bunker: I’m 21 now living just south of Salt Lake. I grew up in Boise, Idaho, and then I started climbing when I was 13 or 14, right before moving to Utah. Then I kind of got into the competition scene. I joined the climbing team and now I’m just coaching and climbing a lot. Neely Quinn: Cool. So your life is pretty much just climbing. Neely Quinn: You’re 21 now and you started climbing when you were 13 or 14 so you’ve been climbing for seven or eight years? Neely Quinn: And like a lot of youth climbers you started indoors, I’m assuming? Dalton Bunker: Yes, I think I maybe climbed a little more outside than a lot of these kids. A lot of weekends or what not I would go out climbing with my dad. Neely Quinn: Oh, your dad’s a climber? Dalton Bunker: Yes, we actually got into it at the same time. Neely Quinn: That’s cool. That’s awesome! So he would take you outside so you got to experience that a little bit. Dalton Bunker: Yeah, we’re 15 minutes away from American Fork Canyon so that’s probably where we climbed the most. Neely Quinn: And then you also did – you are a pretty avid competitor as well. Dalton Bunker: Yeah, I joined the Momentum team and followed that into the youth competition circuit. I still do some of the open comps as well. Neely Quinn: Do you enjoy that? Dalton Bunker: Yes. I have mixed feelings about it. I go back and forth because it’s a lot of pressure and stress, I would say, but I really like the components it takes and it’s such a cool thing to train for but sometimes I have a hard time dealing with all the pressure. Neely Quinn: Interesting. Let’s start with the good part. So you said that you like all of the ‘components’ that it takes. Is that what you said? Dalton Bunker: Yeah, like you have to be strong enough to do the boulders but probably more importantly it’s mostly mental for a lot of the top climbers. Being able to stay composed and being able to figure out these really tricky boulder problems in four minutes or onsighting a route in one try seems like there’s a lot going on mentally. That is a cool thing to try and overcome. Neely Quinn: Yeah. Can we talk about that a little bit? How do you overcome the mental struggles in comps? Dalton Bunker: I think it was hard for me because I started competing in the youth competitions when I was a little older than most of the kids. I started later than most of the kids I was competing with and I think experience is a huge part. It’s really hard to replicate that pressure. I think you can do some practice comps to help deal with it but a lot of it, I think, is experience and you just have to learn from your experiences in the comps. Neely Quinn: So you think that because you were a little older the people who had been doing it for longer had sort of a leg up on you? Dalton Bunker: Yeah, it seemed that way. I definitely feel like I made a few big mistakes in some of my youth comps whereas the kids I was competing against had been competing for six years or five years before. I feel like I probably would have learned those mistakes earlier on maybe. Dalton Bunker: I don’t know. I’m sure it’s different for a lot of people but I would say route climbing, especially. I think I did better in boulder comps but route climbing, I think I was stronger but usually performed worse. A lot of it was somewhat simple stuff with beta or one of my Nationals for sport I made it to finals and they had unlimited time, which they didn’t in any other round, and I was like, ‘Oh, I like to climb slow. This is going to be perfect.’ I think I climbed way slow and got super tired at the fourth draw and then I messed up the beta and slipped off. That was just a pretty devastating mistake and that was probably one of the bigger mistakes that I feel like I’ve made in a comp. I fell really low and I qualified tied for first and in semifinals I was in fourth or something and then I ended up in eighth. Neely Quinn: So you learned that you needed to pace yourself a little bit better? Dalton Bunker: Yes, definitely a big part is you have to know with routes that maybe a steeper route without many rests you want to pace yourself pretty fast but then maybe a techy – like that route was steep at the bottom but then kind of slabbed out. I bet higher up you probably wanted to slow down but at the bottom I think you wanted to just get through it. Neely Quinn: Right. Anything else you can think of that you had to learn pretty quickly? Dalton Bunker: I think just dealing with the pressure is a pretty foreign feeling to me. I’ve noticed it’s interesting with the route climbing. I think all of the pressure and the adrenaline and what not kind of hides the pump somewhat so I was always thinking I was getting flash pumped and I was really confused. I would feel really good and then the pump would hit fast but I think I’ve come to learn that that happens in most comps for me and I think it’s just that maybe the pump is almost covered up by all of the different hormones that are pumping through your body. Neely Quinn: Woah, so you can’t feel it for awhile and then all of a sudden it’s like, ‘Bam!’ It’s there. Dalton Bunker: Yeah, at least for me. I would be like, ‘Oh, I’m feeling good,’ and then five moves and it would hit me and then I would fall. Neely Quinn: That is super interesting. It kind of makes sense because you kind of don’t feel anything when you’re adrenalized. 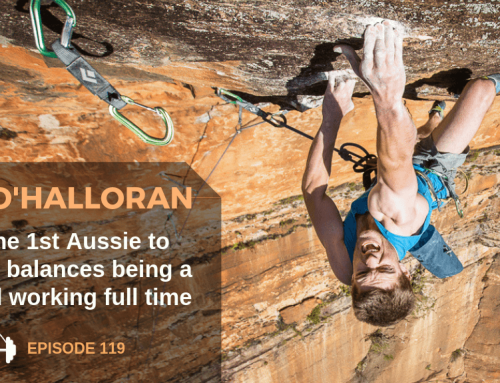 Dalton Bunker: Yeah, and it feels the same as when I’m not in sport shape, like right when I start sport climbing from bouldering I get that but usually once I develop some fitness I get over that. Neely Quinn: Cool. Anything else about comp climbing? Dalton Bunker: I don’t know. As of now I go back and forth about whether I want to keep doing it but it is something that I would love to get better at, like learn how to deal with the pressure better I guess, but I’m probably more focused on outdoor rock climbing at the moment. Neely Quinn: So tell me about that. What have you been doing outside? Dalton Bunker: Lately I’ve got really into route climbing. I used to go back and forth following the youth comp season but now that I’m done with that I’ve been able to – I feel like the season was always off. It was always hot when you wanted to climb for sport climbing but I’ve been climbing a lot on routes around Saint George and neighboring areas to Utah. Neely Quinn: Any highlights? Anything that you’ve been proud of sending? Dalton Bunker: I had my best week this spring. I can’t remember – it started when I did these two routes in Saint George. Solid Gold at the Cathedral, 14c, was really hard for me. It was pretty pure resistance climbing and I’m usually better with restful routes. This one was long and on you forever. I did that one and I did Flight of Conchords, another 14c in the Hurricave. Dalton Bunker: Then I sent this project in the Hell Cave that is a similar grade, maybe a little harder even. Those were the hardest routes for me that I’d ever done and this was all in one week. Neely Quinn: Woah. Had you been working these things for weeks before or did you just go and do them? Dalton Bunker: Yeah, I had tried the one in the Hurricave the least but the other two I had been trying a little more. Neely Quinn: That’s a pretty nice culmination of a week. Dalton Bunker: Yeah, I was definitely lucky, I think. Neely Quinn: Those seem like they’re all kind of different styles, right? Dalton Bunker: Yeah, the Solid Gold one is just kind of on you the whole time and then Flight of the Conchords is quite restful. You do hard climbing to a really good rest and then you have to do a hard, maybe V9, boulder problem or something at the end. And then the one in the Hell Cave is just super powerful for probably 25 moves. Every move is really hard. Neely Quinn: So you have had to probably train a lot of different systems to be able to do all those routes in one week. It’s not like you were prepared for an endurance route one month and then you were prepared for power. Tell me how you have trained to get to this point. Dalton Bunker: I felt this was super interesting. I was climbing on a woody at one of the Momentums and I made up a really hard circuit. It had a lot of small holds and no rest holds. It was 50 moves or something and that circuit was harder than anything I’d tried. I’ve spent a lot of days on it and I don’t even know – I’ve maybe done it in two parts – but that was the first time I’ve ever experienced feeling like I was getting stronger. My finger strength especially was going up and I was also getting fitter. Usually I feel like I have to sacrifice one over the other but I felt like I was getting better at bouldering and at sport climbing at the same time so it allowed me to do all of the different styles. Neely Quinn: Interesting. That’s all you did? That’s the only way you trained? Dalton Bunker: I started with a bit of a base phase with some ARC-ing type climbing, I would try that circuit, I would try some hard boulders on the Moon Board, and then I would just try those routes. Neely Quinn: Those routes on the woody? Dalton Bunker: The actual projects. Neely Quinn: Oh, you would try the actual projects? Dalton Bunker: Yes, which also would help, I think, get me more fitness and what not. Neely Quinn: So how many weeks would you say you had been deliberately preparing for this culmination week? Dalton Bunker: Sport Nationals was maybe a month before this so that kind of was the beginning of my climbing. It was oriented somewhat towards that but it’s probably 1-2 months of training and trying the routes. I didn’t just train and then try the routes. I was kind of doing them both the whole time so it was probably around one or two months, period. Neely Quinn: I’m actually curious how you trained. It’s interesting to see how training for comps crosses over into training for outdoor routes. Could you explain a typical week before Sport Nationals and what you were doing to train? Dalton Bunker: Yeah. It’s kind of changed around over the years. I think I used to do a lot of doubles just on long routes – which I still do some of that – but I’ve noticed that one thing that’s interesting is climbing outside really helps me, especially because I came straight from Bouldering Nationals. You come from not really any sport climbing and then you have one month to get ready, or six weeks. It’s pretty hard. I start off with a somewhat simple volume phase. I don’t try any hard routes, I don’t get very pumped, and then I go into trying hard routes. I’ve found that if I try hard routes outside something about it gets my recovery a lot better and gets it up way quicker. I think it may be because I find myself resting a lot more outside, especially trying to onsight routes. I’ll spend a lot of time on bad holds whereas in the gym if you lead you just climb really fast. I think that’s a big part. I do some circuit training but mostly I just feel like I climb on harder routes. I try and onsight routes and I do some doubles on hard routes in the gym. Neely Quinn: So it doesn’t sound like it’s super structured, what you do. Or is it? Do you have a plan laid out? Dalton Bunker: I used to, especially when I trained with the team, but I think over the last year or two it’s not quite as structured. I have a base goal of trying to get this type of endurance or volume I’m prepping for this base, but I don’t have a real detailed schedule of what I’m actually going to do day-to-day. Neely Quinn: So do you work with a trainer at all? Dalton Bunker: No. I just read a lot on my own and I learned a lot through training with the Momentum team and I think I just kind of pick from all of that. Neely Quinn: It’s interesting how some people have success and they have this extremely dialed-in, ‘This is what I’m going to do three weeks from now,’ training plan and then people like you just kind of do – it sounds like you don’t have a plan so you kind of do what feels right, maybe? And you come out with really great success. Why do you think what you do works for you? Dalton Bunker: I think a big part is really understanding yourself as a climber and knowing exactly what you need. That way you can target the specific weaknesses. I think a lot of people maybe aren’t quite as intune to like: ‘Oh, I need endurance.’ It’s so much more specific than that so it’s really understanding yourself and knowing exactly what to try and target. Neely Quinn: How did you get to that point? How did you figure out exactly what you need? Dalton Bunker: I don’t know. I feel like just over the years of climbing I’ve been super curious and pretty aware, I would say, of trying to understand why I can’t do certain things. I feel like for a long time I’ve understood my strengths and weaknesses. They’re kind of obvious to me, I guess, some of them at least. Neely Quinn: What are they? Dalton Bunker: For route climbing it’s when I can’t shake out at all, really, like when the holds are all about the same size and there’s no rest hold. That’s always been hard for me. I think I was lucky to grow up around American Fork because that’s exactly what that is so it’s helped me but I definitely really struggle when I can’t rest. I’ve always been really naturally good at recovering and then with bouldering my shoulders have always been a big problem. I’m bad at open moves and really small crimps. I think they’re my biggest weakness. Neely Quinn: So these are the things that you are constantly training? Dalton Bunker: Yes. With that circuit that I made there’s a bunch of these really small wood crimps and weekly I would feel – it was interesting. It was almost like I didn’t feel stronger but that the holds just felt bigger, the little crimps. I learned how to grab them or something. Neely Quinn: That’s cool. You saw a significant difference. Dalton Bunker: Yes, and with the Moon Board, too. The Moon Board has some pretty small holds that I noticed a big difference with in my crimps. Neely Quinn: Would you say your strengths are when you can recover? Dalton Bunker: Yes, I’m really good at recovering. Even if I don’t train sport climbing I can recover decently. Dalton Bunker: I think my fingers are quite strong. Not on the nail-biting crimps but on edges and pinches and stuff. My fingers are probably my other biggest strength because I can hang onto a lot of holds. Neely Quinn: Do you ever train fingers besides the things that you’ve already described? Dalton Bunker: Yeah, I’ve done quite a bit of hangboard stuff over the years and I’ve found the best results with one-arm hangs on a pad edge. I’ll change the edge or sometimes add weight. Neely Quinn: And I’m assuming that’s something you had to build up to. Dalton Bunker: Yes. Pretty early on when I was training with Momentum they had us do those a little bit and I really liked them so over the years I’ve trained them more. They just had a bunch of different edges to hang on so you’d just go down and down until you couldn’t hang on. Neely Quinn: So they were having you hang one-arms on small edges as a kid? Dalton Bunker: I remember doing it a couple times. We probably never did it consistently. We probably only did it a handful of times, especially the first couple of years I was on the team. I probably did it less than 10 times but it showed me that training and then over the last three years I’ve done it more. Neely Quinn: Right. You’re 21 so it seems like at 18 is when coaches give people the go-ahead to do whatever. Dalton Bunker: Yeah, and I think when I was coached, typically they just didn’t do anything with weights. They wouldn’t let us hang or just do whatever. They wouldn’t let us do much campusing but we did a little bit but never with added weights. That would be the biggest thing that they avoided for us. Neely Quinn: Yeah, that makes sense. I wanted to ask you because I haven’t heard very many professional athletes say that they ARC. I’m wondering if you can describe what you do when you go in and ARC. Dalton Bunker: Yeah. I think it’s a little bit different than the typical thing that I’ve read but on the woody it’s kind of deep so it’s harder. I think I do about one or two weeks of three sets of five-minute intervals with about five minutes of rest as well, just on jugs. I never get really pumped. Maybe a little more than I’ve heard you should with ARC-ing, and then I upped it to 10 minutes and then maybe 15 minutes was the longest I did and that was three or four weeks. Neely Quinn: Three or four weeks of 15 minutes? Dalton Bunker: No, of the whole thing. I did about a month of ARC-ing. I started at five minutes and ended at 15 minutes. 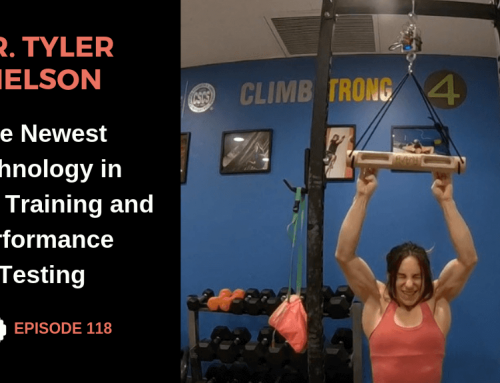 Neely Quinn: How would you incorporate that into your training? How many times a week would you do it? At what point in your climbing day? Dalton Bunker: I would do it at the end and I would do it probably twice a week is all. Neely Quinn: Okay. Is your woody – you say you would do this on a woody? Neely Quinn: I’m assuming it’s pretty steep, right? Dalton Bunker: Yeah, it’s probably 40° or something. Neely Quinn: So they have to be serious jugs for you to not get pumped. Dalton Bunker: Yes. Usually my legs get really tired. Neely Quinn: Okay. So 15 minutes. You’re just going around in circles on it. Dalton Bunker: Yep. I would rest quite a bit, too. I would hang out on certain jugs and shake out. Neely Quinn: But you made, I’m assuming, a circuit on there that was easy for you to go around and around? Dalton Bunker: Yeah, there’s pretty much just a line of jugs and different patterns. Neely Quinn: That’s something that Steve Bechtel sort of described in his last interview with me about endurance, low endurance training, which is pretty much what you’re saying. It seems like/I’m wondering what exactly you found from that. What changes did you see in yourself from doing that? Dalton Bunker: I feel like it passes – when I normally transition into route climbing I would feel kind of crappy and get really pumped. It just skips that phase. If I do this phase and then I start trying hard routes I already feel good so it just skips that transition phase almost. Dalton Bunker: Yeah, I forced myself to not try anything harder than mid-5.12 in the gym, also. Neely Quinn: But you’re saying you would do it at the end of a session so you might do your normal doubles on hard routes and then do this afterwards? Dalton Bunker: So I wouldn’t do doubles on hard routes until after this training cycle or period. I would probably boulder, actually. I would do more power climbing and then I would do the circuit. Sometimes I would just do a high volume day in the gym to replace the ARC-ing. I would just do 10 routes, like 5.11 or 5.12. Neely Quinn: And how many in a row? Dalton Bunker: I would usually do doubles but I’m not going to get really pumped. Neely Quinn: So if you had six weeks to prepare for route climbing, you would take the first three weeks and make it mostly low endurance stuff like this ARC-ing stuff. Is that right? Dalton Bunker: Yes, I think that’s what I did, and also power because it is quite important in these comps to feel strong on hard moves so I feel like you can do power training with this. Neely Quinn: Yeah, that makes sense. That totally makes sense. You’re not getting super tired when you’re training power, or you shouldn’t be, and then you can go and do ARC-ing afterwards. Neely Quinn: And then in the second three-week phase tell me what your sessions would look like. Dalton Bunker: I think this is when I would add in some sort of circuiting. I would just make up hard circuits. I would try hard routes outside and also in the gym and probably start doing doubles at pretty hard routes for me in the gym. I would try and do doubles on two hard routes. Neely Quinn: Okay, so try to link two hard routes together and maybe even fall on them? Dalton Bunker: Yes, sometimes. I would say I usually don’t but it’s really close on the second one. Neely Quinn: Okay, and then are you doing anything else besides the climbing? Are you in the weight room at all? Are you doing core? Fingers? Anything like that? Dalton Bunker: Sometimes I’ll throw in one-arm hangs every once in a while. In the middle of my session or later, if I’m not too tired, I’ll do some one-arm hangs to keep it maintained more. I wouldn’t say I’m consistent because I never regularly do core or anything. I try to but I’ll do it once and then I forget about it. Dalton Bunker: A few years ago I had trouble with my lower back and I knew if I stopped doing core workouts it wouldn’t hurt anymore. There’s almost two years or something where I didn’t do any core workouts but then over the last year I learned my form was bad. My lower back was kind of sagging so I’ve learned to ease up the core workout and I try to do a lot more basic stuff now. Neely Quinn: Okay. Do you think that helps you? Dalton Bunker: I don’t think I’ve done it enough to know. I’ve messed around and I’ve done some front lever training more, maybe. I do think that’s helpful just to simply get your feet and keep them on the wall on really steep stuff but I haven’t done enough of the other core workouts to say if I’ve noticed anything. Neely Quinn: Then any weights? Any weight training? Dalton Bunker: Definitely not regularly. I’ve done a little in the past but typically I don’t do any weight stuff. Neely Quinn: Any pull-ups or anything like that? Dalton Bunker: A lot of times it’s definitely not like a schedule but I’ll try a lot of one-arm pull-ups and I’ll do a lot of one-arm lockoffs. It’s definitely not a strict way. It’s just kind of for fun. Neely Quinn: So all of these things are pretty sporadic. It’s nothing that’s in your routine. Neely Quinn: Anything else that we’re missing that you do as well? Dalton Bunker: I think that’s most of it. I’ve been trying to stretch a lot more lately. I used to kind of believe that it didn’t make much of a difference but I’ve noticed some girls, especially, with really flexible hips and how much easier it makes moves so I’ve been putting definitely more effort into stretching. Neely Quinn: Do you think it makes a difference for you? Dalton Bunker: Yeah, I do, especially on slab and just high stepping, too. If you’re a little more flexible you can keep your hips in when you’re getting a high heel hook or just high stepping. Neely Quinn: Yeah, for sure. Anything else about training? Actually, I have a specific question: one of the main differences that I find with pro climbers as opposed to just – I don’t want to say ‘an average climber’ – not a super strong climber is that when they go into the gym or wherever, they know how to try really hard. They can put out all-out efforts and I think that that’s what makes them so strong. It’s that they’re actually training strength on the wall. Do you think that’s something that you have going for you? Dalton Bunker: Yeah, I think I value that a lot, too. I think of that even as a way of getting stronger, practicing and trying harder and teaching your muscles to use more of the muscle fibers, so I definitely think if you can try really hard while you’re training then you’ll get stronger, even if it’s not that you’re doing a certain workout. A big part is how hard you can try. Neely Quinn: Yeah. And you said that you value that a lot. Can you explain that? Dalton Bunker: I feel like it’s been a little more lately but I just think – like, a lot of people say you don’t use that much of your muscle to protect yourself or whatnot. Rather than trying to grow muscle or something I’m always just thinking that if I can get myself to try harder, maybe I’ll activate more muscle. I consciously think about that rather than, ‘Oh, I need to be stronger,’ but it’s like maybe I can just learn to try harder and use my muscle better. Neely Quinn: Do you think it works? Dalton Bunker: Yeah, I think it’s a little more recent that I’ve been messing around with that idea so I’m not certain on anything but I do think there’s a big part to the mental side of how hard you’re trying and it correlates with how hard you’re going to actually climb. Neely Quinn: Yeah. I also think it’s really difficult to try really hard often. Dalton Bunker: Yeah, I’ve definitely noticed that. A lot of days you just don’t want to. You just don’t have that energy to try hard. I think that’s a big part of knowing when to rest. If you don’t feel like you can try hard then maybe it’s important to rest and at least not train that day. Neely Quinn: And that seems like a really valuable skill to have, to know when to rest and know when to not try hard. Neely Quinn: How much do you rest? How often do you climb? Dalton Bunker: I think I rest more now than I used to. I probably climb five days a week usually. Neely Quinn: Outside and in the gym? Dalton Bunker: Yes. There’s definitely times – a lot of times it’s like a small climbing day or I set routes or something or forerun and I don’t get a full rest day. Honestly, a year or two ago is when I’d be like 10 days on or something like that. Dalton Bunker: [laughs] Every once in a while. I thought you learned to take easy days but once you get so deep into no rest days, it’s like an easy day almost seems like a rest day. Neely Quinn: Yeah, I guess so. Dalton Bunker: You start to have good days similar to if you took a rest. Neely Quinn: You said that you set routes. I’m assuming that your main income is as a climber, right? Dalton Bunker: It’s mostly coaching, I would say. Neely Quinn: So how much do you work? Dalton Bunker: I don’t work that much. I work – let’s see – like 20 hours a week or something. Neely Quinn: So that affords you a lot of time to climb. Dalton Bunker: Yes. I work just enough that I can go on weekend trips all the time and stuff. Dalton Bunker: I think I probably have a lot more time than a lot of people. Neely Quinn: Yeah, which is nice. It’s great. Dalton Bunker: Yeah, I’ll coach in the evenings at 4:00 so I’ll have all day until then a lot of times. Sometimes I’ll set a little. Neely Quinn: And setting is exhausting. Dalton Bunker: I know. I’ve definitely worked my way out of setting because it definitely is exhausting. Neely Quinn: Yeah, it seems to be a main complaint of all setters. Okay, so one of the main things that I have seen about you is that you’re a vegan. Dalton Bunker: Yes. I went vegan almost two years/not quite two years ago. Neely Quinn: Do you want to talk about that a little bit? Dalton Bunker: Yeah, definitely. I’d always been pretty interested in nutrition, experimenting with myself. Neely Quinn: So tell me how you came to be a vegan. Dalton Bunker: It was kind of a mix of things. Initially there was a part to the ethical reasons and then there was just some Youtube channel I was looking up. This guy was mostly raw vegan and I thought he was super interesting. I tried to go pescetarian and then after a week I decided to go fully vegan. Neely Quinn: Did you go raw vegan or just vegan? Dalton Bunker: I didn’t go fully raw. When I first went vegan I was eating a ton of fruit. I was messing around with just fruit meals and I think I kind of clung to it more because I had been messing around with lower carb dieting for the year before that. To feed myself a bunch of carbs made me feel really good so initially it was a ton of fruit and then it started to balance out into a more standard diet I would say. Neely Quinn: A standard vegan diet. Neely Quinn: What have you noticed about your climbing, your health, your mood, your body, since you’ve done that? Neely Quinn: What was happening with your weight before that? Were you trying to lose weight? Is that what you mean by you were messing with your weight? Dalton Bunker: Yes, I was trying to lose weight. It seems like every international trip I do I gain a few pounds. I went to Rocklands a few years ago and I gained maybe five pounds or something. I knew nothing about weight loss and I was like, ‘Oh, I’ll just try and lose five pounds for a comp,’ but then it would end up being worse. I would maybe gain a pound in the end or something. I was so confused because I had never struggled with weight at all through my whole life and I never thought about it. That’s when I think becoming vegan really helped fix my bad habits, I guess. Neely Quinn: What were your bad habits that it fixed? Dalton Bunker: I feel like I went irregularly, like I would maybe try to eat no carbs or be strict and then I would end up eating a lot more. I didn’t have a typical day of eating. It was changing every day, I think. Neely Quinn: Oh, were you trying to restrict and then you would get super hungry and you would just eat all the things? Dalton Bunker: Yeah, I definitely went through that process on and off. Neely Quinn: That sounds like a typical low-carb diet for a climber. Neely Quinn: So then how did veganism change that? Dalton Bunker: One thing I always thought was it was just mental but it’s more of a food addiction in a way. When I started eating all of these carbs I actually felt satiated for the first time in a long time so that was definitely a big part to it. Also, it just makes it different for avoiding unhealthy foods. I live with my parents so sometimes there will just be junk food and whatnot. I don’t even have to make the mental effort to avoid it just because now it’s like, ‘Oh, I’m vegan. I can’t eat that.’ I think that helped a lot, also. Neely Quinn: Oh, because it will have dairy in it or whatever. Dalton Bunker: Yeah, it’s crazy. Dalton Bunker: It would be cool if you could make that switch if you wanted to more easily. Like, ‘I’m not going to eat sugar,’ or whatever – treats. It’s harder to make such a big line that you can’t cross. Neely Quinn: And it’s interesting because you did this out of choice. You basically are choosing to not eat those things. Dalton Bunker: Yeah, definitely. For some reason, in my head, this is a bigger line that I definitely can’t – I don’t even think. If I told myself I’m not going to eat candy or something that’s all I would think about, eating candy. Neely Quinn: That’s funny. Why is that? Is it because of the ethical issues? What exactly is it that makes it such a hard line for you? Dalton Bunker: As of now and more recently I think the ethical issues help a ton. Initially, I don’t really know. I just kind of made the decision, I guess. I’ve read of something called ‘Bright Line Eating’ where essentially veganism would be a bright line. You can’t cross it and it takes out the decision making. I don’t know. I think for some reason, and I don’t really know why, when I made the decision to go vegan I never even thought to eat stuff that wasn’t vegan. 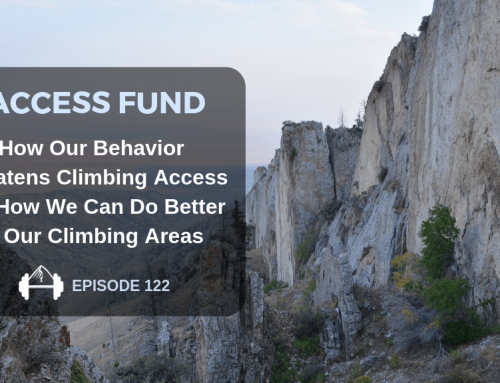 Neely Quinn: What has happened to your health, your body, your climbing, since you did that? Dalton Bunker: It feels – I wouldn’t say it’s some amazing thing that fixed everything but I feel a lot more consistent and I feel like I get strong in the same way that I did before I was having the hard times with what I was eating. My recovery feels similar. It’s maybe a tiny bit slower, like I maybe have to be a little bit more aware of what I eat to have better recovery, but overall I think it feels like pretty balanced. I don’t feel like there’s any issues but it’s not like I feel light years better than I ever have in my life. Neely Quinn: You kind of feel the same but just a little bit more consistent? Dalton Bunker: Yeah. I feel the same as before I had tried to manipulate my weight, like when I was just in a normal routine. I feel close to the same as that. Neely Quinn: And your weight is now where you want it to be? Dalton Bunker: Yeah. It fluctuates a little bit but it stays pretty close to where I feel like I climb well. Neely Quinn: What about the composition of your body? Do you feel like you look the same? Do you feel like you’re less muscular, more muscular…? Dalton Bunker: It’s hard to say. I think I may be a little leaner? I feel like I never paid attention to my body two or three years ago so I can’t compare it to then but I think I am a little leaner than when I was trying to diet. Dalton Bunker: And it’s funny. I understand that now but if you would have asked me three years ago – I remember one time my friend was telling me, “I stopped doing this core workout because it makes my abs look uneven,” or something. Dalton Bunker: I never thought anything of my body image. Neely Quinn: So as a climber and with me being a nutritionist, I know that all of my clients do much better when they have kind of a lot of protein in their diets. I’m wondering how you get protein and if you know how much you get? Dalton Bunker: Yeah, I don’t get a ton of protein. It varies when I try. It’s probably under 100 grams. Maybe between 60 and 80 grams a day or something like that? Mostly I eat a lot of beans, I eat some tofu – I eat tofu pretty frequently – those are probably the biggest source of protein I get. Sometimes I eat nut butters which I guess have a bit of protein. Neely Quinn: Do you supplement with a protein powder ever? Dalton Bunker: No, I never have consistently. Every once in a while I’ll have a protein shake but I’ve definitely been trying to experiment with it more. I feel like I haven’t figured out the optimal amount for me. Sometimes I eat more and sometimes I eat less but I have never really noticed a direct correlation with it. I guess when I would try to eat mostly fruit I would feel like I recovered worse but that was also not fat, either. I don’t eat a lot of fat but I eat a decent bit of protein. Not a lot, though. Neely Quinn: So it sounds like it’s a lot of beans, tofu, maybe veggies, and what else? Dalton Bunker: I eat a lot of grains or oatmeal and some bread. I usually only eat sprouted wheat bread. Somewhat simple stuff. I do eat a lot of fruit still. Neely Quinn: What would be a typical breakfast, lunch, and dinner for you? Dalton Bunker: Oatmeal is probably the most common. Some sort of oatmeal with almond milk and fruit and some sort of chia seeds or something. For lunch sometimes I snack more. I don’t have a consistent lunch, I don’t think. I’ll snack on fruit throughout the day and sometimes I’ll have different tortillas or bread, maybe with peanut butter and fruit or something like that. Then for dinner, a lot of times I’ll eat potatoes or sweet potatoes with beans or I’ll usually have rice or quinoa or something with beans and then sometimes tofu and veggies, just scrambled up with some vegetables. I’ll also, a lot of times, eat that similar stuff for lunch as well. Neely Quinn: Then any desserts or other snacks? Dalton Bunker: I eat a lot of those Larabars. I don’t know if you’ve seen those. I really like those. I eat a lot of those and dates – I eat a lot of dates. I eat dates every day almost. [laughs] It’s my favorite snack. Neely Quinn: Yeah, they’re amazing. Neely Quinn: It doesn’t sound like you’re eating very much junk food, really. Dalton Bunker: That’s my ideal day. Sometimes I’ll have – there’s always cereals around the house and all the unhealthy cereals are vegan so I can eat those. I like these protein Lenny and Larry Cookies. I really like them and they are vegan, also, and they sell them at a lot of places. Neely Quinn: Yeah, I know what you’re talking about. Dalton Bunker: Those are pretty good. Sometimes I’ll go out to eat Thai food and it’s really good. It’s really easy to get vegan, too. Neely Quinn: Then it’s really common or pretty necessary for vegans to supplement with certain nutrients. Do you do that? Dalton Bunker: I go on and off with it. I’ll read a lot of different contradicting stuff but the only supplement I take is B12 and I don’t take it all the time. That’s the biggest one, I’ve read. Neely Quinn: Yeah. You don’t think you will take anything else, ever? Dalton Bunker: I’m actually looking to get my blood tested because I’ve never gotten my blood tested, ever, I don’t think. I’m curious. I’d like to get that done soon just to see because I have no idea if I’m lacking in anything. Neely Quinn: I think it’s really interesting. I was a vegetarian from the time I was 12 until I was 23 and I remember that hard line. I had a hard line, too. ‘No, I can’t eat that. It’s meat. No, I can’t eat that. Why would I eat that?’ And then I remember, at the age of like 21, I started to feel really, really sick. I know that this doesn’t happen to everybody. People can thrive on vegan and vegetarian diets but I knew that part of why I was sick was because of my diet and I really didn’t want to change it. I wonder: do you think if your body started to not agree with your diet, would you be open to changing? Dalton Bunker: Yeah, I’ve definitely thought of that. Sometimes I wonder if I would recover better. I do think I would try maybe eggs or something you can get really humanely. I’ve read a little bit about cricket powder and I don’t know, I feel like maybe those would fix anything you couldn’t get with vegetables, but yeah, I think I would be open if I definitely noticed an obvious decline in my health. Neely Quinn: But it would have to be something – a friend of mine who is a vegetarian, he’s like, ‘I’ll eat dead things if I think I could kill it myself.’ Is that something that resonates with you? Dalton Bunker: Actually, I kind of feel that. Neely Quinn: I understand that, too, but for you is it an environmental thing? Is it a humane thing? Is it all of the above? Dalton Bunker: I think it’s all of the above. I’ve definitely gotten a lot more informed on it over the last six months or so, like the humane and the environmental aspect of it. It does seem like eggs are maybe one of the things you can easily – whatever. I had chickens two years. Just two chickens or something and that was easy and obviously humane. I think that is a big part now. Initially it was more for the health reasons but it’s just like being around so much vegan information it has become a lot more about that. Neely Quinn: Yeah, it’s interesting. I think I could talk about this for a really long time because I don’t actually talk to vegans about veganism very much. To me, I have a huge issue with eating humanely-raised animals and I would go out of my way to find and buy meat that has been humanely-raised and slaughtered. For me, that is a concern but I know that I’m doing the best that I can. Is it like you don’t want to kill anything? You don’t want anything to be killed? Dalton Bunker: Yeah, for me I feel like I can’t kill anything. It’s so hard. Even a lot of bugs or anything, I’d feel really bad if I had to kill one so I think that is the bigger part. I definitely think it’s better if it is a pasture-raised animal. I think with the environmental part, too, it’s hard sustainably. I don’t know if it would be something that could happen worldwide but it’s definitely a step in the right direction. Neely Quinn: Well, I think it’s really cool that you’ve educated yourself about nutrition and that you’re making choices that seem to be working really well for you. 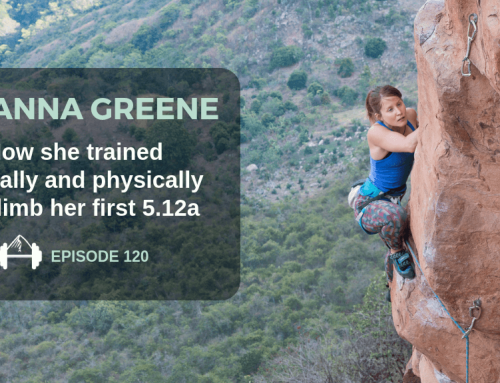 Neely Quinn: Moving forward, what are your upcoming goals in climbing? Dalton Bunker: This fall I’m really excited for St. George to get good. I think my biggest goals are to try a couple of those harder routes that Joe Kinder put up out there. Neely Quinn: In the Hurricave? Dalton Bunker: Yeah, the Hurricave and Bone Tomahawk. I tried his one, Life of Villains, in the Hurricave this last spring and I got pretty excited on it so that is a big goal of mine. I’m really excited to check out Bone Tomahawk and also Necessary Evil, probably. I want to try it. Neely Quinn: So you’re going to stick around. Do you have any international trips coming up? Dalton Bunker: I’m really hoping to make it to Spain maybe early next year. Sometime maybe early spring or something? That’s the biggest place on my list that I haven’t climbed yet, internationally. Neely Quinn: So you seem really psyched on route climbing now. Dalton Bunker: Yes. I don’t know. I just got back from Rocklands, actually, but I’ve been a lot more psyched on route climbing lately. Neely Quinn: What’s the ultimate goal with that? Dalton Bunker: I don’t know actually. I’m not sure. Neely Quinn: Like, no big huge long term goals? Jumbo Love? Dalton Bunker: Not quite that big. [laughs] I would love to try Biographie. I’ve climbed in Ceuse a little bit but around the US, I feel like those routes in St. George are the bigger goals. I’m not one to usually set out for a really big goal. I like to work my way up the pyramid, kind of. I enjoy that way a lot. Neely Quinn: It seems like you’re doing a good job of that, too. Dalton Bunker: Thanks. I feel like that is a really important thing, too. I definitely think that’s contributed to my success a lot, the volume that that allows you to do when you’re climbing a lot of stuff that you can do in a couple days or less. Neely Quinn: And it helps teach you technique, too, I feel like. Dalton Bunker: Yeah, there’s so much to learn about climbing better. It’s crazy. Neely Quinn: Well, I appreciate you talking to me today about all of this and I hope that you succeed in all of these goals that you have for the fall. Anything else you want to add? Dalton Bunker: No, I think we covered everything. That was good. That was awesome. Neely Quinn: Well thanks so much and good luck out there. Dalton Bunker: Awesome. Thank you. Neely Quinn: I hope you enjoyed that interview with Dalton Bunker. You can find him and he’s pretty active on Instagram @daltbunker. You can also see videos about him and his diet and his training at his Youtube channel, Dalton Bunker. As I have been doing I will comment a little bit on the nutrition side of things from this interview. I won’t pick a separate topic like I usually do but I will just sort of go into Dalton’s diet as a vegan. I know that a lot of people want to become vegan or vegetarian for ethical reasons or environmental reasons or health reasons. I won’t go into my thoughts on that because that would be an entire podcast in itself but I will say that if you are going to do that, I think it’s really important for you to get the nutrients that you need. A lot of times when people go vegetarian or vegan the things that they’re going to be missing from their diet is enough protein to support an active athlete, B-vitamins, and iron, especially for women because we lose blood every month so we need to replace it with iron from food. When you’re not eating meat that’s really difficult to get from food. A B-complex vitamin supplement is going to be really helpful, even if you don’t take it every day. A lot of times those B-complex supplements are really, really high in all of the B’s and you don’t necessarily need all of that so even if you took it every day or every couple days, one that I like is by Designs for Health and it’s called B-Supreme. It has all of the B-vitamins. The B-vitamins work synergistically together so you don’t want to just take B12 or just take B6 or just take folate. You have to take them all in order for them to work properly. Those B’s are really important for our neurotransmitters, our energy levels, so many things in our body depend on B-vitamins so that’s super important, especially if you’ve been a vegetarian or vegan for a long time. That’s when it starts to become an issue because your body slowly depletes in those things. As far as protein goes, I would just log your diet on MyFitnessPal and see how much protein you’re getting. If it seems to be very, very low then consider supplementing with a protein powder, like a vegan protein powder or if you’re a vegetarian you can do whey powder if you tolerate whey well. Those are the three things: the protein, the B-vitamins, and thirdly the iron. I wouldn’t start supplementing iron unless you have an iron blood test done. If you just go to your doctor and have them do their normal tests as they would at any annual exam and just say, “I really want you to test my iron,” to make sure they do it, they can test your iron and your ferritin, which is your iron storage level. Then you can see if you’re low and if you’re low or if you’re even at the low end of normal, then you can start to supplement with an iron supplement. Definitely do not supplement unless you know that you’re too low because having too high iron is just as bad as having too low. The iron supplement that I recommend is called Ferrochel. That’s from Designs for Health. You can get it on Amazon. Designs for Health is a really good company that I really trust. They’re third-party tested which is rare in supplement companies and it’s also rare to get such a high quality supplement on Amazon, and they’re not expensive. Ferrochel is one of those supplements that doesn’t give you the same sort of side effects that other iron supplements can give you. Some of those side effects are going to be stomach upset and constipation. I haven’t experienced that happening with any of my clients or myself, because I take it myself. I think that’s all I want to say about veganism right now. To recap, if you’re going to be a vegan or vegetarian or if you’re planning on trying it out just make sure that you monitor the amount of protein that you’re getting and try to supplement with B-vitamins and iron, if you need it. If you need to supplement with a protein powder there are really good options out there. I didn’t actually tell you the brand that I like. Vega is one of them. They are high quality and a lot of people don’t have digestive issues with those, either. The other whey protein that I like is from Primal Kitchen. If you actually go to Amazon and look for Primal Fuel it’s a product you can get in a couple different flavors from Primal Kitchen. So, okay, that is all I’m going to say about veganism and vegetarianism today. If you ever have any questions just email me at neely@trainingbeta.com. I am a nutritionist. That’s why I’m talking about this stuff. I didn’t really mention that for any newcomers to the podcast but I also see clients. I’m not going to see clients for the next couple of weeks, until the beginning of December 2018 again, or I’m not going to take anybody new. If you’re interested in that you can go to www.trainingbeta.com/nutrition. 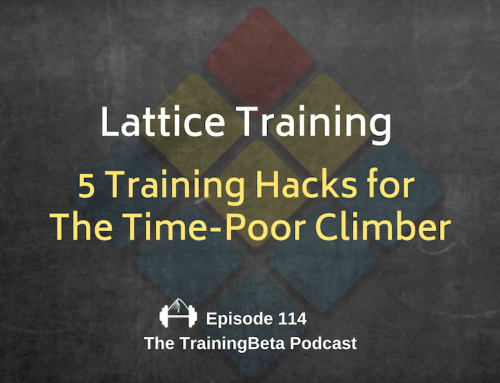 Lastly, I will remind you that the TrainingBeta podcast is an offshoot of our website, www.trainingbeta.com where we have regular articles from climbers and trainers. We have training programs that are super easy to use and affordable. We have training videos and all of the other episodes of this podcast are on that site, too. Visit us at www.trainingbeta.com, follow us on social media @trainingbeta, and thank you very much for listening all the way to the end. I hope you enjoyed that interview. Talk to you soon.